For background, the East Asian Australasian Flyway is the greatest flyway on the planet, stretching from the Taimyr Peninsula and Alaska in the north through China, Japan and the Koreas to Australia and New Zealand in the south. In total, the flyway passes through 22 countries and is used by more than 50 migratory species. The Yellow Sea is of vital importance to these birds, comprising a series of stopover sites where these birds can refuel, rest and moult their flight feathers during these mind-boggling journeys. 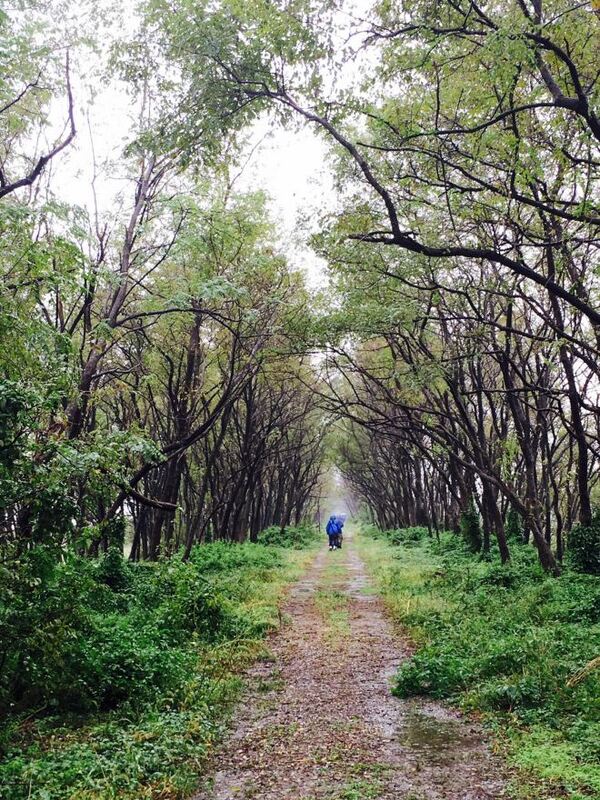 The “Magic Wood” at Rudong can be buzzing with migrants in spring and autumn © Birding Beijing ???? 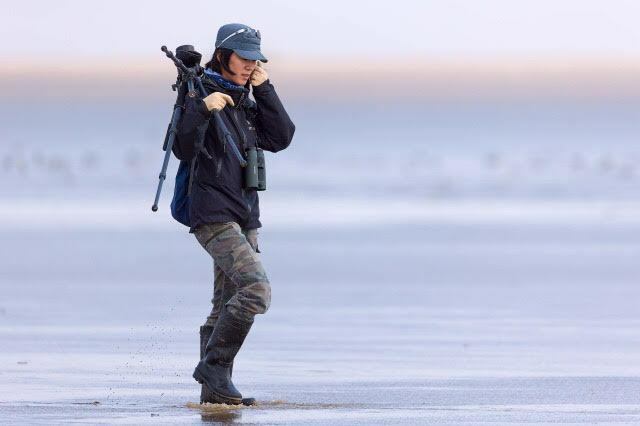 Li Jing, leader of the Spoon-billed Sandpiper in China NGO © Birding Beijing ???? 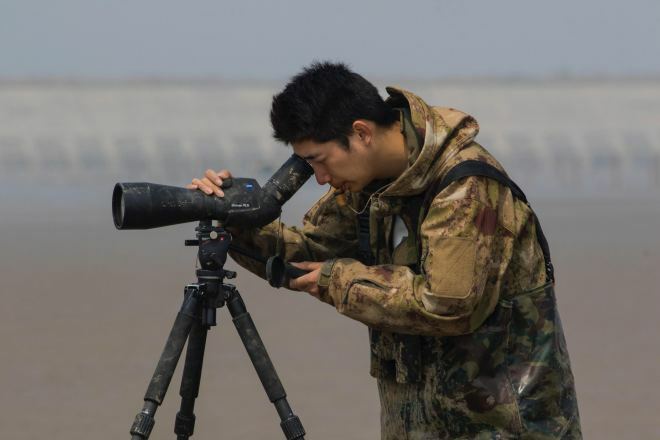 Zhang Lin, Shanghai’s leading birder and discoverer of Rudong as the most important stopover site for Spoon-billed Sandpiper © Birding Beijing ???? 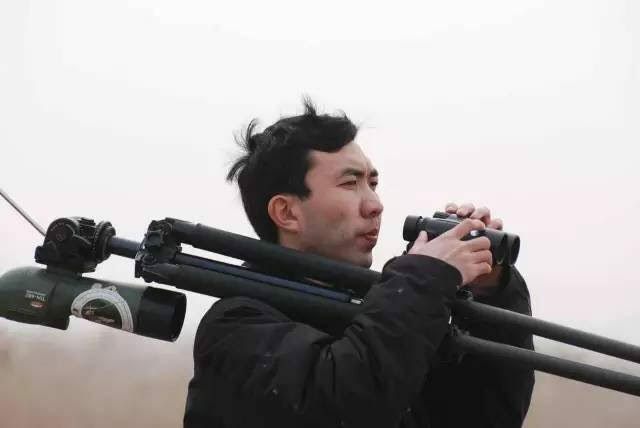 Chen Tengyi, from Chongming Island and an accomplished bird-whistler, skills learned from former hunters. © Birding Beijing ???? 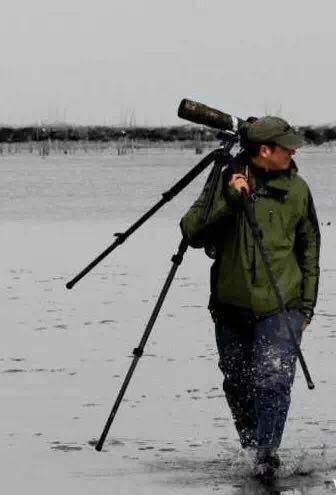 Han Yongxiang, a wildlife illustrator from Lianyungang © Birding Beijing ??? ?